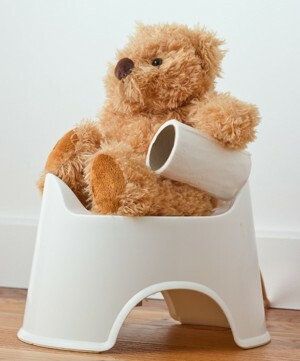 If you’ve read our article, Potty Training: When & How to Potty Train Your Child, then hopefully you have a good idea of the basics of potty training. In this article, we explore some of the problems you may encounter, how to deal with them, and answer any questions you might have. Not everything is worth fighting over, and if your child is adamant that he or she will not sit on the potty, then it’s possible that they are simply not ready to be trained, even if you think they are old enough. You could consider putting the potty away for a couple of weeks before broaching the subject again. It’s not the end of the world if it doesn’t work the first time. If you do decide to persevere, then don’t forget to praise your child every time they do sit on the potty, even if it’s only briefly. You could also introduce a reward chart. Make it part of the training process, by having a craft afternoon when you design the chart together. Get some colourful stickers and explain that they get a certain sticker for sitting on the potty, another for wees, and another for poos, etc. You could also have a goal at the end of the chart, for example, five green stickers gets a piece of chocolate, ten red stickers get a new toy, etc. It might take a while for your child to make the connection between the chart and the potty, so persevere with it, as many children respond really positively to this. You can make going to the toilet fun by perhaps having a silly song you sing together when your child is on there. Alternatively, you can put some red or blue food colouring in some water in the potty, or directly in the toilet. Your child’s wee will make it change colour and your child may find this a great motivator. If you have a boy, you can also try a ping pong ball or a special target sticker in the toilet for them to aim at when they are ready to try weeing whilst standing up. At first, it’s unlikely that your child will tell you each time he or she needs to use the potty. This will come later on in the process. In the first few days, encourage your child to sit on the potty every hour. Then try waiting to see if they tell you when they need to go. A few accidents may actually be beneficial to your child, as he will realise that he needs to say something to prevent his trousers getting wet! You may also find that you need to continue to prompt your child to use the toilet even after they have been trained during times of activity, for example, when they are distracted by visitors or when watching TV. This is perfectly normal. 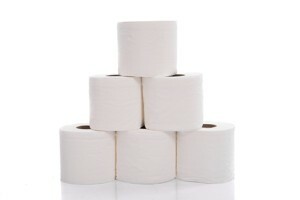 My Child Won’t Poo On The Potty, What Can I Do To Help Them? Some children will continue to poo in their pants weeks after they have stopped having accidents with wees. This is very common, if a little frustrating and messy. It’s thought that many children simply do not like the sensation of having the poo drop out instead of being caught up in the nappy. You can address this by placing a nappy in the potty and getting your child to sit on that to do a poo. Many children will need a poo around 20-minutes after a main meal, or you may have noticed that your child goes at the same time every day, so these are the best times to try this technique. You could also talk about how everyone needs to poo, including the family pet, and make sure you that don’t talk about anything being yucky, or smelly, and don’t react when you are faced with a soiled pair of pants. That way your child will learn that it’s nothing to be scared of and very normal. For many children, the first time they do a poo on the potty or toilet will be enough to help them get over this fear. Rewards may work well in this situation. 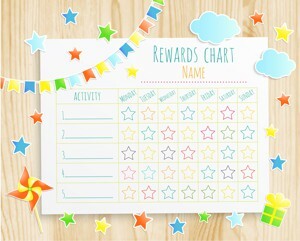 You could try the reward chart as outlined earlier. Some parents choose to buy a selection of cheap small toys, such die-cast cars that are out on display in the bathroom or near the potty but out of reach of the child. Every time the child does a poo on the toilet / potty, they can choose one of the toys as a reward. As tempting as it is to use pull-ups to avoid having to clean lots of soiled pants, this may actually lead to your child taking even longer to learn to use the potty / toilet, so is best avoided. A quick way of rinsing soiled pants is to hold them in the bowl at one corner whilst you flush the toilet water over them, before then putting them in the washing machine. Have a bucket in the bathroom to hand for placing soiled items in. My child Is Dry During The Day But Wet At Night, Is This Normal? If your child has mastered being dry during the day, then congratulations, you are half way there! It is perfectly normal for your child to continue to have accidents at nighttime for quite a while after they have been trained during the day. Many children will still wet the bed until after they start infant school. Once you are confident that your child is fully trained during the day, you can start thinking about ditching those nappies at night. You might want to begin by switching to pull-ups to start with, as if your child does wake up during the night asking for the toilet, these will make it much easier for them to go. Next, keep a mental note of the contents of your child’s pull-ups. If you notice that your child has gone for a whole week without being wet, then you could try going without the pull-ups for a week to see how they do. You will need plenty of spare sheets and a waterproof mattress protector. As with starting potty training, you probably don’t want to try this when you have other issues that need addressing such as a busy work week or relationship problems, as you may find yourself having to do several night-time bed changes. Explain to your child that since they are doing so well with using the toilet during the day, you think it’s a good idea that they start sleeping without nappies at night. You can point out to them that you and any older siblings don’t need nappies at night time, and that this means that your child is becoming a big boy / girl, as well. You could also consider placing a potty near your child’s bed on top of a towel, so it is easy for your child to get to during the night. A night-light will also be beneficial here, particularly if your child is afraid of the dark. Don’t be surprised if your child continues to wet the bed on the odd occasion. In this case, don’t react negatively, and explain that you understand it’s just an accident. It takes a while for your child to be fully in control of their bladder, especially at night, and patience is key. I Have A New-Born & My Toddler Has Started Having Accidents Again – What Can I Do? It is very common for a toddler to exhibit challenging behaviour following the arrival of a brand new sibling, particularly if she is used to being the only child. You may find that one of the ways your toddler does this is to stop using the toilet and start wetting / soiling themselves again, often directly in front of you when you are tending to your newborn. It can be tempting to treat this as any other naughty behaviour with your preferred method of discipline; however, this may counter-intuitive and result in more of the same. Instead, you should try not to show any reaction, cleaning your child up and sitting them on the toilet encouraging them to go. Whilst this behaviour is incredibly frustrating, especially when you are sleep-deprived from your newborn, it’s important to remember that it will pass. Don’t focus on the negative behaviour, instead try and reinforce positive behaviour. Perhaps your toddler could help you change your baby’s nappy, for example, by fetching an item, or you could encourage your toddler to sing to her sibling. In addition, make sure you spend some quality one-to-one time with your toddler. After all, he is used to being the sole focus of Mummy’s attention and the new arrival is a big change for him to get used to. Explain to him that after you have tended to the baby you will read his favourite book to him or play a game. Perhaps your partner or family member could look after your newborn whilst you take your toddler to the local park for an hour. Eventually, this type of behaviour will end as your toddler adjusts to his new role as an older sibling.